Harmonic Learning’s Presentation Programs provide you the skills needed to become a strong presenter of formalized information. Discover how to present formalized information in a way that's truly your own. Make your message memorable with these advanced skills and techniques. 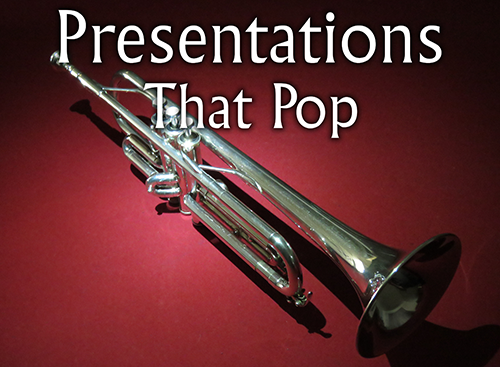 Become a Poppin' Presenter by relying on your innate strengths to develop and deliver presentations that engage, inform, and enlighten, in a style that's truly your own. 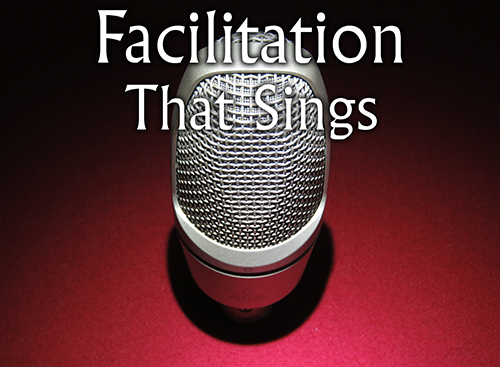 Enhance your facilitation abilities through this courses designed for trainers, consultants, coaches and anyone who facilitates classes, seminars, meetings or discussions. 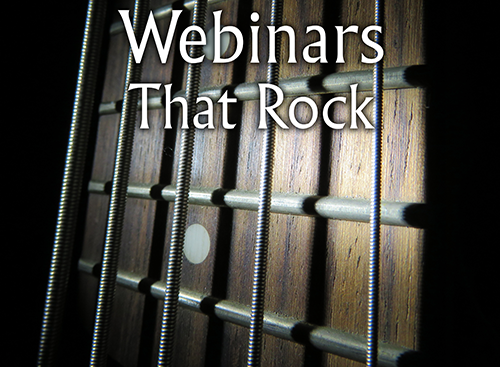 Learn how to deliver rockin' webinars that keep the audience engaged and enthused throughout the session, making the content meaningful and memorable. Each of the programs is designed to help you discover your unique Presentation Voice - how you most naturally engage with the audience / participants to convey the formalized information. Time is spent discovering if you are more extroverted, introverted or ambiverted, and special techniques are provided to bring out the strengths of each type of person so you can become comfortable being on-platform. You will learn how to build a relationship with the audience, and how to keep them very engaged throughout the session so your important message is fully conveyed. Contact Us to discuss how you can participate in these learning programs.